Just a few words ..
We all need to vent, I am with you all on this.. BUT please do so respectfully of Rafa Nadal & his entire TEAM. Please understand that the person who wants to win most is RAFA.. this is Rafa's life, his career, his bread & butter [so to speak]. No matter what any of us say & think the only thing we can do is chose to accept the positives & look at the negative & try to understand/learn from them. for the record.. no matter what game plan you try to instill .. when mentally you are stuck.. there is no rainbow at the end in any situation. Tennis is in my book 65% mental! Would he benefit from a psych i think YES. 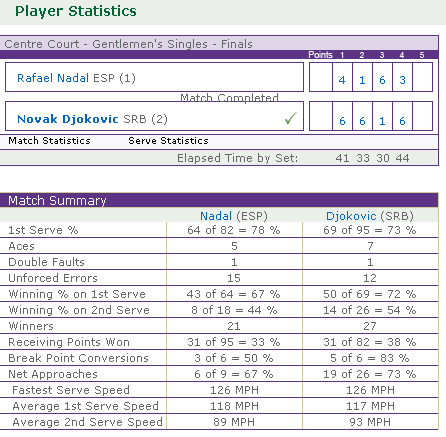 Also I refuse to give Djokovic credit cause I just don't see where he's playing so amazing.. Look at what Rafa did to him in the third set. Is it possible for Rafa to defeat him YES it is!!! But it takes belief, it takes more than what Rafa is capable right now. To hold it together long enough for a victory. it hurts me very much to see Rafa so mentally strong always, seem so fragile now.. But Rafa has accomplished way to much for me to start second guessing him & his Team's choicesl. but I tell you one thing..I will always be a Rafa fan through the good & the bad I will always believe in him..Rafa is a champion on/off court! 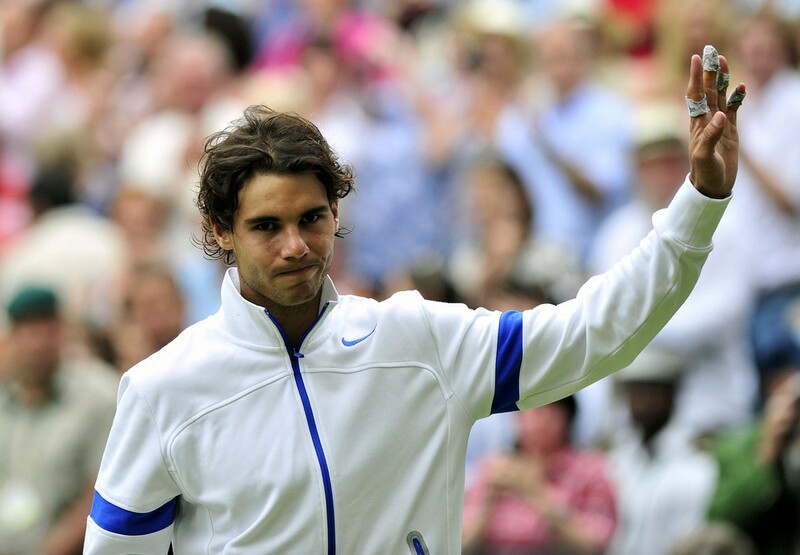 Whether he is #1, #2 or #100.
so por favor.. remember Rafa needs our support!